32Red PLC has announced a record year just before its big £175 million acquisition by the famous Stockholm-listed Kindred Group. 32Red declared revenue of a whopping £62 million, as opposed to their £49 million revenue in the year 2015. 32Red announced that it’s regular market performance contributed to over 77% of its gaming revenue. The firm’s aspirations to grow was supported with the kick-off of its new multi-platform website in the year 2016. Ed Ware the CEO of 32Red updated its many investors that the firm will continue to implement its effective growth strategies until such time that the acquisition is complete. In the wake of the upcoming Christmas season, leading online casino operators are coming up with exciting promotions and offers for their players. As per its latest promotional move, 888 Casino has come up with Increasing Snowball Free Play of Santa worth £8,000. This casino is offering five increasing play vouchers for free on Santa’s Super Slot in addition to some other slots. To get the free play, you need to deposit with code snow. With the 1st deposit, you can avail up to £200 worth 10 percent of free play. This goes up by 10 percent increments with each deposit. The highest is a massive £2,000 worth 50%. You can avail this offer twice next week. Along with Santa’s Super Slot, this free play is also applicable on others lots like Ultimate Universe, European Roulette, Saved by the Bells, Millionaire Genie, Gods of Gold and Snack Times, among others. 32Red Casino has come up with a sleigh ride worth £25,000, offering players the chance to grab some amazing casino bonuses. All you need to do is to go for the promotion and begin playing your favorite slots. Subsequently, you will gather Loyalty Points, which will be used to decide your position on the Leaderboard. It will be available until December 22nd. This means that you have plenty of time to gather points. There will be a total of 125 winners in this Xmas promotion with a top prize of £5,000. The second, third and fourth spot holder will get £3,000, £2,000 and £1,000, respectively. Other winners in the slot will get prizes in the range of £25 to £750. Starting now until Thursday, there is a special slot battle promotion running in 32Red Casino where you can get the chance to win a huge amount of money! You have to choose between Team A and Team B, each with different slot games. You then start playing the games and help the team you have picked reach the top of the leaderboard. If your team has the most combined wagering, you will share £3500 in casino bonuses while the runner-up team shares £1500. This means that there is a £5000 total to be given away in bonuses. Bridesmaids, Lucky Leprechaun, Golden Era and Break Away slots are the games that Team A is playing while Thunderstruck II, Lucky Koi, Fish Party and Mermaid Millions are the games that Team B is playing. So why don’t you head to 32Red Casino and take part in this fantastic competition? With Lady Luck on your side, you will end the week with an awesome casino bonus! Online casinos are a booming business. They focus on the comfort of the players ensuring one can stay at home and play from one’s comfort zone to make money. But it is very important to understand and know which casinos are trustworthy and safe; sometimes this is a real tough challenge though. So without wasting energy traveling in traffic or having the expenditure of the casinos’ hotel. Money making through gambling is made easy provided you choose the right online casinos brand. People can play online anytime anywhere as per their convenience, be it at night after a hectic work schedule or as time passing entertainment while sitting idle at home. The main languages of communication across the trusted online casinos in Canada are English and French. Look out for your specific flag on the website so that you can play in the language of your choice. This will also ensure that all the T&C’s are easily understood. Obviously, you don’t want to risk losing your money to rogue casino groups. This is why we have listed safe online casinos in Canada that you can trust. When you choose them you can be sure of protecting your privacy and playing safely. We aim at helping you enjoy the best gambling experience by only listing the most reputable online casinos in Canada. Our advice comes with a little insider knowledge that we hope will give you a little edge. Before you click off we suggest reading through a few of these key points and we would also like to recommend that you take a look at another post we wrote about securing your mobile casino deposits – you just cant be too careful. There are certain features that players must look out for while searching for a casino in order to know whether they will be safe and secure. Good percentages payback and high bonus: Reputed and reliable online casinos generally offer a good percentage payback and high bonus. Hence, it is always better to go with a reputable online casino rather than opting for one that does not have any reputation as such in the market. Security measures: It is essential to check whether online casino use Digital Encryption Technology for safe and secure transactions. Generally casinos that use SSL, TLS and HTTP protocols are able to offer better service to clients as far as protecting the confidential information about the players concerned. Certification: Choosing just any casino or the ones that are not certified or regulated can be very risky as they can easily be hacked or may be involved in some sort of crime. Regulated online casinos in Canada are the best option to go with. It is better for clients to select the casinos that have been checked and certified by a third party like the eCogra. This would increase the safety of the transaction as well as the authenticity of the online platform through which the player is likely to play. There are certain things that players must avoid while choosing an online casino in order to have the best possible service. New casinos: Playing with new casinos is not a good option for those who are concerned with the safety of their investment. It is not that new casinos would siphon money in an illegal way or that they are more vulnerable to hacking, they are simply new in the business and players may find it difficult to play through them. Poor odds: Most reputable online casinos will display what the return to player percentage is for each game type and in some instances down to game level. Don’t get caught out playing highly volatile games which could leave you having a bad experience. The Criminal Code: The Criminal Code of Canada does not make it illegal to gamble online unless it falls under recognized areas of the code. No Charges: Though it is still a question on the legal coverage of gambling in Canada, no person has ever been charged with the crime of playing online in Canada. Canadian vs. U.S. Law: One key difference between the laws of the two countries is: the U.S. does not grant states the right to run online gambling sites, but in Canada, provinces have the right to allow and license online casinos as they please. They have a regulating body to manage and control. Sports Betting: Betting on sporting events online is not illegal under Canadian law, which allows the player to bet on three or more matches only. An effort is however being made to remove that restriction from the Criminal Code and start the same on single sporting event soon. Poker: There are a number of online poker sites available within Canada. While none of these sites, apart from the ones housed on Indian reserves, are hosted from within the country, no law has been passed prohibiting Canadians from gambling on such sites. Taxes on gambling: Canadian law dictates that gambling winnings are generally not taxed unless deemed to be gained through a business related transaction. If one is a professional poker player, taxes may apply, but for gamers playing just for fun, winnings should be tax free. The purpose of having a regulatory body is to ensure the casinos are operated and regulated in a fair manner. If a site breaks one of the rules set by the regulators, its license can be pulled and it would no longer be able to offer its services of casinos. Presently, each province in Canada regulates and monitors its own online gambling sites. So, in a nut shell, sign-up bonus is not the only thing that is taken into consideration while choosing a safe online casino in Canada, the selection of games has to be impressive as well. Starting from online slots to video pokers to roulette or Blackjack, choosing the one to start with, is just a click away. The gaming software giant, Microgaming have released two new online video slots this July! You can dive beneath the water and meet colorful sea life when you play Fish Party, or revel in the power of artificial intelligence in RoboJack. Each game offers you the chance to max out your winning potential with a 243-ways payline structure and a bevy of features. Both games were launched at top online Microgaming casinos including All Slots, Spin Palace and 32 Red. See what life is like under the waves and have fun in Fish Party. 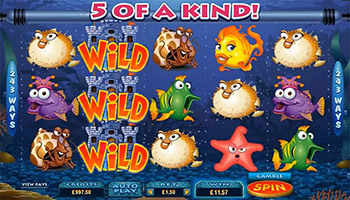 This slot game takes you to the bottom of the ocean, where you will find icons like the Clownfish, an annoyed Starfish, a silly Puffer Fish, and more in a typical five-reel layout. All 243 consecutive left-to-right combinations pay out, which means more chances to win. In the main game, Wild Castles are stacked on the reels. And if you get 3 or more scattered Clams you can activate the Free Spins bonus round. If triggered, you’ll get 8 – 20 free games depending on the number of triggered scatters. These free spins are great and they come with Super Stacked Wilds and Triple-Stacked High-End Symbols. 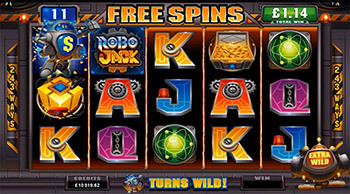 Take a look and try out one of Microgaming’s latest high-tech games and play RoboJack. Set in a robot factory, this new bonus slot will amp up your chances of winning big. It has 243-paylines, which will give you wins on every spin. The things you really want to aim for in this slot game is hitting 3 or more Scatter symbols on any reels. Once, triggered, there will be 5 distinct robots each with their unique surprise. This could take the place of: extra wilds scatter prizes, and even random wild reels. One robot will be chosen for you, but you have the option to replace this with another. 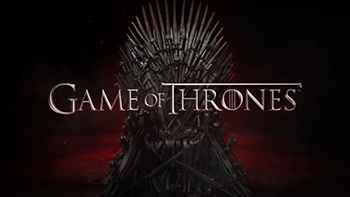 Video Slot fans who enjoy the Games of Thrones TV series are in for a treat. The good news is that Microgaming has purchased the rights to make their own Game of Thrones video slot! The game will be launched later during the year and players will be able to enter the world of Westeros and Essos and collect many riches along the way. You will find all your favourite TV characters in what’s sure to be one of the year’s best new video slot releases. This game is sure to be a number one hit and is still in the development stage. How Microgaming will approach the treatment of HBO’s Game of Thrones is uncertain. It’s a safe bet that there will be bonus features related to the characters and main plot points of the story, which will captivate and draw players into the game. However it’s still a big surprise how this will be implemented. Who knows – you might end up fighting for the Iron Throne yourself! He continued, “This slot will boast a number of great features and will bring the beauty of this epic fantasy to life. This will be an amazing addition to our branded content games portfolio and operators and players have plenty to look forward to this year!”. 32Red is in the process of forging ties with Kambi Sports Solutions to offer a unique and comprehensive betting experience to its clients during the upcoming FIFA World Cup to be held in Brazil. The FIFA World Cup is one of the greatest sporting events in the world and after the London Olympics in 2012 there hasn’t been any major global sporting event. This dry spell of two years has left punters across the world with very little option to raise the stakes and win big on sporting events. With the 2014 FIFA World Cup at the doorstep, online casinos and betting syndicates are gearing up for a major showdown. It is crafty and strategic that at such a juncture, 32Red which is a reputed online casino and has been hailed with awards for about ten years now, ties up with Kambi Sports Solution which is known for innovative concepts in sports betting. With Kambi’s online sports book and 32Red’s overarching presence in the online casino and sports world, the partnership is clearly poised to create some ripples and allow gamblers to play and win some real money online. Kambi Sports Solution is a subsidiary of Unibet but with the Swedish owners selling as much as 95% of their stake, the company will become a new brand, namely Gambi Group Plc. The entire transition to be triggered expectedly at the Annual General Meeting on May 24 should be completed by the end of May or in the first week of June, leaving enough time for the brands to put a fascinating program forth for their clients before the World Cup kickoff. 32Red is synonymous with football and Kambi is known for its comprehensive betting concepts and solutions. The combination should work wonders for all and sundry involved with the world of sports betting.